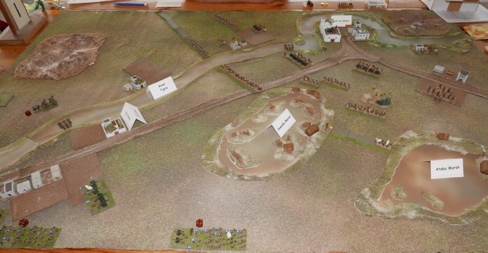 York Wargame show 2017 (Vapnartak). 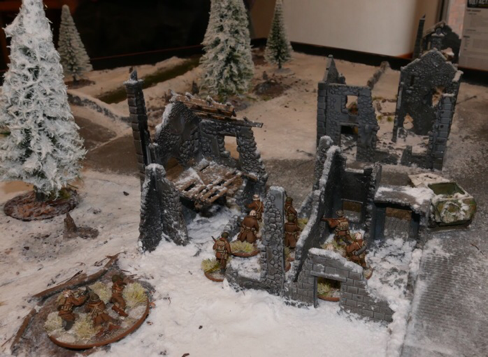 Vapnartak is a major UK wargaming attraction that enjoys a good range of traders and helps get the show scene under way in the north, as gamers come out of winter hibernation, looking to be inspired for new projects and completing old ones. Held in the spacious venue at York's horse racing course, this year I was joined by Mrs. Wargamer, through a superbly planned bribe of a romantic weekend away in this lovely city (North East UK). This post covers my perspective on the show. Please use the 'read more' tab for the rest of this post. The run up to the show (this was written before making the journey). The last show that I was able to get to was Phalanx 2016 (St. Helens, North West UK), held in June, so a good 7 month gap has me quite excited about this event. My only pre-order is with Kallistra, amounting to some hex slopes and a blister pack of the ACW 12mm dismounted Union cavalry. The large range of Kallistra hex terrain is quite collectible, the sort of thing you keep adding to and this year I have decided to get the slopes sorted, rather than just relying on the generic hill pieces. One of the drivers for this is that I fancy at some point doing Hastings 1066 and I need a long continuous ridge as the main feature of the battlefield. This is still a bit of a long term project as the only forces that I presently have, are a couple of Kallistra 12mm unpainted 1066 Norman heavy infantry blisters. Vapnartak does not do a Bring and Buy stall, rather there is table space you can rent and the idea is you sell your own stuff. My time at the show will be too precious to faff around sitting at a table, with my puppy eyes pleading for a customer to accept my offers - so no, if I can't do a 'leave and forget' arrangement, I will save that particular avenue of recycling for another show. What else do I fancy? Well I have enough unpainted lead to discourage me from buying more and I have enough paint to paint it! I don't really want any more rulebooks, though a book of scenarios might be quite nice. I would like this year to be a bit of a terrain year, in which I generally improve the look of my table, so I will be on the look-out for anything that brings a bit more texture. This will almost certainly include slowly rotating out my trees that look like loo brushes, to be replaced with ones that better resemble foliage. I quite like the 4Ground trees, of which I already have a few. I anticipate my dabbling in the coming 18 months to revolve around ACW, Napoleonics (French / Austrian), WWII east front, AWI and to get 1066 up and running, so will be buying with these in mind, though at my current rate of procrastination, I could well have written exactly the same this time last year and may even write the same next year! Today is Thursday. The show is on Sunday and my back is giving me a ton of jip (I stupidly started sanding and painting skirting boards the other day), so I am hoping that come the day, it will have settled enough to make for a bearable journey (110 miles) and walk-about. The show (written after the show). Despite leaving early, road works and a decent pit-stop on the motorway services meant that I got to the place for just before 10 AM and joined a queue of cars waiting to get onto the overflow car parking - a locked gate was the problem and the 'man with the key' had to be hunted down. Anyway, by time I got to the front door, the place was open and the 'standing around' bit, waiting to get in, had been negated. The entrance fee is £5 for each adult, which I find perfectly reasonable - though I wonder how long they will be able to keep to their policy of gamers that are 60 years and older get in free, as a substantial body of wargamers crash through that particular milestone, if they have not already done so. 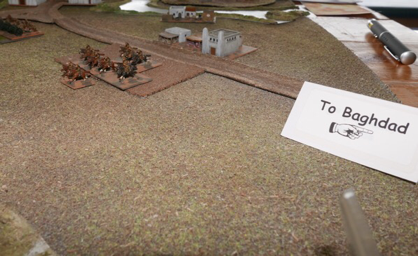 It is no wonder that this venue is something of a wargame fest of the north, it was chocker with traders and game displays over four floors and very quickly the place filled, so that even moving through the show frequently required some dexterity, patience and politeness. Due to ongoing back problems, this can be a two sided coin for me. On one side the show is simply huge and fantastic, on the other side, back ache gives quite limited time on my feet, so the hustle and bustle and then having to stand and wait to buy from a trader due to the volume of customers, quickly exhausts the old back. I was just unlucky really that I have had a flare-up that coincided with the show. So despite the size of the show, I did not get around to see as much as I wanted. I made regular pit-stops at a table (on the top floor!) that the ever patient Mrs. Wargamer had acquired and deposited my purchases with her, took a breather and then went off again, but each circuit became shorter and short until I knew I had reached the point in which it was time to return to the comfort of the car. Two things stuck me about this show - for a while I have been feeling that both shows and wargaming media in general concentrate too much attention on the rather wonderful 28mm scale and that the diversity of what many gamers are doing in other scales is not properly represented ..... however, at this show there was diversity in both scale AND a very good helping of games being played out on smaller tables, something that has a certain honesty with the gaming arrangements that many of us have at home (i.e a kitchen table). For the reasons outlined above, I did not get a chance to photograph very much, but here is a small selection of things that took my eye. 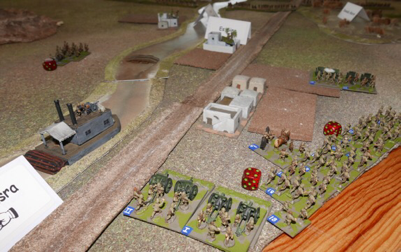 (Above) This looked like a Bulge December '44 style game (Bolt Action), contained in something like a 4' x 4' space. It had just a handful of units involved and the sparseness and snow scatter gave a wonderful atmospheric effect. Here, some German troops weave their way through a ruined building. 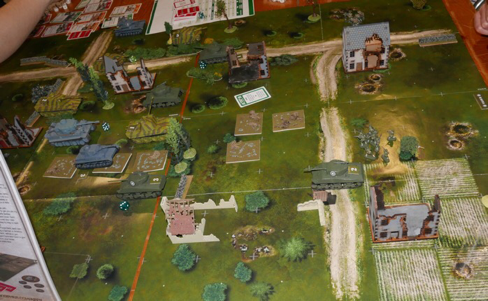 (Above) I have never seen the new Airfix wargame system out on display and I have no idea whether the maps shown here are part of the basic set or whether the paper battlefield includes an expansion. Those around the table seemed very enthusiastic and I thought this was rather a friendly team that had put this on and it deserved to generate sales. Anyway, if you like the look of it, it may be worth looking for some YouTube videos or whatever. There is a square grid on the paper maps and the system uses cards. 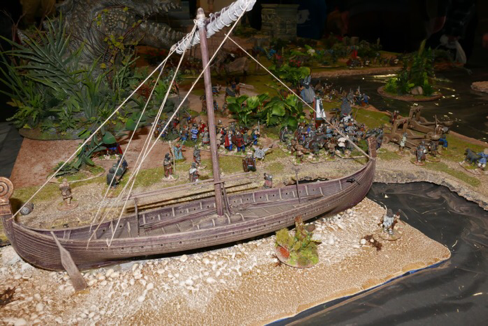 (below) This was in fact part of a big game on a big table ...... but who can ignore a Viking style longboat! (Below) A Lion Rampant game and of course an example of the lovely modelling opportunities that come from the 28mm scale. (Below) Close to where we were sitting was this really nice game. It grabbed my interest on several levels, enough for me to say that of the few tables I really saw, this was my favourite. 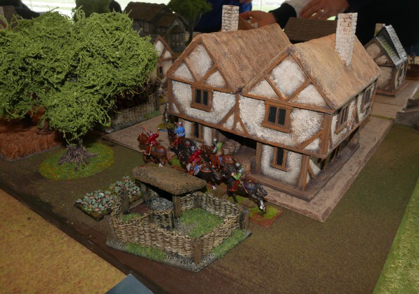 It just looked nice, was kitchen table sized, used 10mm figures and the chaps (sorry, although I took your leaflet, it did not say who you are!) were trying out their own rules (looked to be a sort of variation of the DBN type idea, with formations being element based). The result being that it gave a fuller battle rather than the skirmish, that seems to becoming increasingly popular on smaller tables. There was roughly an over-sized division per side, representing 11,000 Anglo-Indian and 10,000 Ottoman soldiers. I took their leaflet from the table which advised .... 'The Battle of Es Sinn, 28th September 1915, was a World war 1 military engagement between Anglo-Indian and Ottoman forces. It took place during the Mesopotamia campaign. The sides fought to determine control of the lower Tigres and Euphrates rivers, in what is now Iraq. The British and Indian governments also viewed it as a test of the Ottoman forces and whether a further advance to capture Baghdad was possible'. Anyway, it looked like the kind of thing that one could do at home with minimal storage considerations and since this blog is all about gaming in small spaces ..... it gets a big shout. 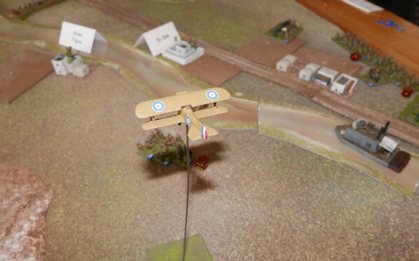 The show continues to be an excellent treat for the wargamer. It all looked to run very smoothly and so a big thank you must go out to the organisers. Also thanks to the traders, whether they make money or not, they are there and they help make the show what it is. Mrs. Wargamer thought it was good, though she complained to me that she had been nearly swept sideways by a bloke wearing his backpack!!!!!! ...... I shall say no more, lest any sensitive soul blush. To a large degree, the brevity of my visit (an hour and a half) ensured that my purchases remained quite focussed and I did that by making directly for those traders that are generally on my target list. I really enjoyed the show, made easier for me due to the fair bit of spare seating spread around the place (thank you, thank you, thank you). As for my stash, it doesn't sit too widely outside my pre-show ambitions (a first for me). Kallistra - I of course picked up my slope hexes and Union dismounted cavalry and also bought an additional 5 blisters of Norman 1066 12mm figures (they have an offer of buy 6 blisters and get one free) just to start chipping away at the 1066 project. Pendraken - Some 10mm high walls (straights and corners) and a pack of their pre-painted 10mm buildings, as part of my terrain improvement plans. S&A Scenics - Simon is now doing trees with clump foliage as well as the older bristle line, so I picked up a pack of 8, as part of my terrain improvement plans. Timecast - Some rather nice 10mm resin, a large ruin, a small ruin and a church. Also he had a pack (for £4) of rubber field sections (unpainted), which although marked up for 6mm, looked the ideal size for my 4" Kallistra hex tiles - so again part of my terrain improvement plans. Caliver books - Forget the proper title because it is in the boot of my car, but it is something like Battles of the West 1940 - 45 by Dave Brown, a scenario book for his Panzergrenadier rules. A kindly Mrs. Wargamer bought this for me. I also checked out a few rulesets, but after dallying and trying to whittle the choice down, I put them back, they are not needed now and can wait for another day. Finally, I bought a large dice bag from someone, only to find later that my hand does not fit into it! Probably like my shirts, I need XXL! Since Christmas, I have picked up some 10mm resin buildings from Pendraken (by a Spanish company), Timecast and Battlescale. There is now a goodly selection and they all fit into a box file. I am firming up on my 10mm / 12mm resolve. Once I got home and looked at the room plan you get given at the reception, I realised just how many traders I had missed - shame, but hopefully will catch up with them later in the year. As always, I am fully conscious that this blog has a world wide audience and that we all have different financial situations, I would not want the above shopping list to seem in any way an arrogant display of spend, but rather it just hints at the trend that my blog posts are likely to take. Norm, despite your recurring back troubles, seems you had a very enjoyable weekend away with the Mrs. Congratulations to you both and especially for your wife for humoring your trip to the show and picking up a scenario book for you. That's a revealing partnership! Thanks for the show round up and for cataloging your acquisitions. Personally, I enjoy seeing the loot others acquire and hardly consider it a window on conspicuous consumption. Given the trader presence, you exhibited good restraint. Like you state, purchases do provide a useful signal on your project plans. Which scenario books are on your shopping list? Thanks Jonathan, I had thought something for the American War of Independence, though I do have REBELLION from Warlord, which means other things perhaps should take a priority ... like the 1809 Danube campaign. I thought the York show today was excellent although it did appear to be a bit quieter later in the morning. I left to drive north at 2pm so couldn't comment on the afternoon. I had a good 45 minute spell in the flea market disposing of a large unit of Late Roman infantry, 2 units of AWI Continentals and a complete army of RCW Reds bringing in well over £200. This funded a significant purchase of paint, twenty plus bottles, the Adventure Pack for Congo, some Litko markers and two packs of Pendraken Marlburian (French and British). The little Brits and Frogs will provide cannon fodder for my 'Cordery' experiment. Our club puts a bus on to get us from Falkrik to the show so traveling isn't a problem for us, but given how busy it is I can only stand so long pushing through or standing waiting for people to complete their purchases/stop viewing and move on. So probably an hour and a half after arriving I'd picked up my late romans and paint and me and the missus headed into York for a pub lunch before the journey back. I do like the show because I agree with you that it does have a lot of games on show that are perfectly possible to do in your own home. Peter Pig are fantastic from this aspect as one of the few company demo games that consistently fit that bill. Although I'm sure I did see Jim wandering up a flight of stairs at one point while I was nattering to other folks. Hi Jim, we left at 11.45 and as we did, there were literally just 3 spare car spaces that had obviously just been vacated by people leaving, so I would guess that by 12noon, the place was hitting a peak. I think flea market / bring and buy profits are a great source of revenue to re-invest back into the main trader halls. I know at Phalanx, I was concerned that the bring and buy was becomming too big and possibly taking too much money out of the show. Not sure how we would ever know whether the relationship between trader and the bring and buy aspects of a small to medium sized show are in or out of balance. That sounds like a splendid way to spend an afternoon. I really must make it to a UK show someday. Sounds like a great time, Norm. You are luckyindeed to have such a thoughtful and understanding wife, but I'm sorry to hear that your back was playing up and prevented the day from being even better. Nice haul, too! Nice report. Almost makes me wish I was back in the UK. Enjoy your purchases! Thanks all, I think one could easily fall into the trap of taking the UK show circuit for granted - we are indeed lucky to have such a vibrant scene. I spoke to one trader who I regularly see at shows, he smiled as soon as he saw me in a way that underscored the familiar - he said "do you know how long we have been doing this, 25 years!" . It is that sense of show community that I like. I would need to double check with a couple of long time pals but I think there might be a trader or two who were at one of our very early shows in 1976. That would add up to 40 years in my way of thinking. I am glad you enjoyed the show. The Table top sale makes the cub very little money compared to the rest of Vapnartak. It is there to provide a service for the visitors and to keep money circulating within the show. People sell second hand things and spend the proceeds with traders. It is a win win. Hi Nathan, I know at some Bring and buy's, staffing the tables is quite resource intensive for the club members / organisers and renting tables out to gamers to sell their own games looks to be increasing popular - I think Hammerhead do that and they are a growing show. I'm glad that this year looked like another success for Vapnartak, York is a wonderful city. Cheers Norm. Dad was running the 10mm game at Vapnatak, and was wondering how to get into contact with you? Hi James - this link will take you to a contact page on my website, cheers Norm.